Relocating takes its toll on the human members of the household. With so much to pack and organise, kids to school, whoops! Where is the cat? This is a time when you really need to pay attention to your cat. Territorial by nature, cats have a whole other world happening, covered, checked and monitored. Moving was not a part of the plan. Uprooting them and moving them to a new home is stressful and traumatic for them. 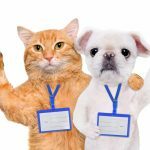 But there are some things you can do to help the process go as smoothly as possible and swiftly get your cat settled into everyone’s new home. The fact is that they are not moving, you are, and that is important to remember. 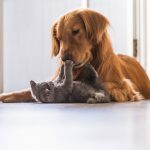 Animals have their own lives and thoughts, and if you are going to be a better pet parent, it is important that you always try to look at the world from your pet’s perspective. Who said we were moving? 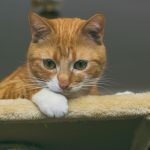 This guide to moving a cat to a new home applies to general mixed breeds that are used to staying in at night and out during the day. It does not apply to all cats, cat breeds and all situations, personalities and relationships. If your cat is not used to being in their carrier, you can help them become accustomed to it. Bring it out a few days before the move and put it in a quiet corner away from the chaos. Make it comfortable with a nice bed and some treats in it. Hopefully, your cat will find the treats and take to sleeping in it in the build up to the move. If he or she won’t go into the carrier, move their food bowl closer and closer to the carrier until moving day. The day before you should have moved the food bowl all the way in, at the back of the carrier, so that they have no choice but to get all the way into it to eat. Keep their routine as normal as possible. This can be hard with so much going on, but the less disrupted your cat’s routine is, the less stressed they will be. If you don’t think you will be around to maintain the cats feeding routing, buy a timed feeder and set it the usual mealtimes. Keep your cat shut in one specific room, like a bedroom, with their food, water and litter tray. Leave a sign on the door so all the removal personnel know not to open the door. Once all the other rooms have been cleared, load your cat up in the carrier and transport them to the new place in the car with you. Once you arrive, you can unload the furniture for the same room first, because it was the last room to be cleared, it should be accessible at the front of the van. Once this furniture is in the new place, you can let your cat out of the carrier and shut them away in this room. Fill the room with their toys and familiar things from the last house. 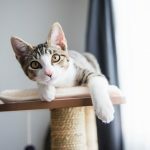 This way, they are in their carrier for as short a time as possible and once they arrive they should be more comfortable being surrounded by familiar furniture and smells in the new location. Keep your cat in this same room for the first couple of days. This way the cat knows where its food, water and litter tray are and isn’t too overwhelmed by the multitude of new sights and smells all over the house. Once they are acclimated to this room, let them explore the house one room at a time. Maybe open up the whole upstairs to the cat after a couple of days. Then a few days later the living room, then the kitchen. 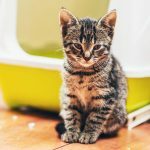 Get a second litter tray and put it in the place where you will keep it permanently once things have been unpacked and your cat is fully settled. But leave one in the initial bedroom for the first few weeks as well, until your cat has worked out the layout of the house and knows how to find its litter tray. Don’t let your cat outside for the first month. They need to become fully acclimated to the new house before they set foot outside or they could decide to return to their home. After a month, if you want to let your cat out to explore, you can, but make sure they are supervised and don’t let them out after dark. You don’t need to carry them outside or anything, just let them go outside if they want to. If they are skittish or nervous, dragging them outside in your arms will only terrify the poor creatures even more. The process is gradual and takes time but your cat will adjust to the new place. Just like us, your cat doesn’t like being pushed around and told what to do without any say in the matter. Just be patient and let the cat do things at its own pace and you will have no issues. Moving your cat along with your family will be fitting of your relationship. Is there anything you can add to article? We’d love you to share your experience and knowledge with the growing community at OnDECK by DINGA.